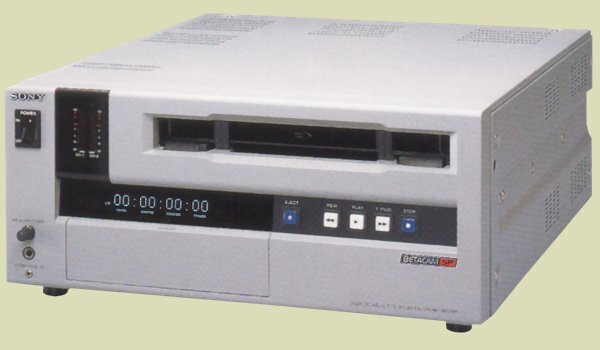 The UVW-1600 is the second player only VTR in the UVW range. It is referred to as an Editing player, which means it can be used in an editing environment. It is superior to the UVW-1200 in many ways. It features Dolby C to improve audio performance and has an RS-422 9-pin interface as standard making it easy to incorporate into an edit suite. It can replay both large and small format Betacam & Betacam SP tapes. Like all UVW series machines it is not capable of the broadcast quality offered by the BVW series but represents amazing value for the cost. The UVW-1600 has a built in LTC time code reader but also offers an LTC output to enable time code to be read by external equipment such as an edit controller. It also has a built in time base corrector which offers an external interface via the optional UVR-60P, TBC remote control unit.